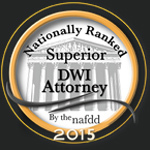 DUI Defense Attorney Fort Collins | DUI Lawyer CO | DWI Attorney 80521 - Roselle & Breitigam, P.C. As former prosecutors, Jerry Roselle and William Breitigam know how thorough the prosecution will prepare its case. They also know that working diligently with the prosecutor often results in alternatives to harsh penalties, but only by preparing better and applying intelligent legal strategies. Applying experience and knowledge, we confront the government’s evidence, including the probable cause for making the traffic stop, the field sobriety maneuvers, the alcohol testing, and whether your Constitutional Rights were upheld. It all starts with talking to our attorneys as soon as possible after you are charged, or if you think you are facing charges. Call or email us anytime to arrange a no-cost, no-obligation informative evaluation of your case. Come to us. Challenging breath and blood tests: Many people think that test results that are not in their favor mean their chances are over. This is not true. We can help you challenge the tests. A DUI and the DMV: After a DUI charge, you will have to go through criminal proceedings and DMV proceedings. We can help with both. Protecting you from insurance consequences: A DUI conviction can increase your insurance rates. We can help minimize the damage. Driving with a revoked or suspended license: Our attorneys can help shield you from the damaging effects of a driving under restraint conviction. Driving under the influence of drugs (DUID): In Colorado, it is illegal to drive with drugs in your system. We can help you avoid serious consequences by challenging the charges. Vehicular assault and homicide: A car accident that injures or causes the death of another person can leave you facing serious charges, even if it was an accident. Let us help protect you. Vehicular eluding arrest: Eluding police can lead to criminal charges and enhance any other charges you may be facing. Our lawyers are former prosecutors who are ready to fight for you. Call 970-237-5702 or 888-369-0855 or contact the firm by email to arrange an initial free confidential and informative consultation with an experienced DUI/DWI defense attorney. We represent individuals charged with DUI and related traffic violations in Fort Collins and Northern Colorado communities throughout Larimer County and Weld County, including Greeley, Windsor and Loveland as well as clients in Routt County/ Steamboat Springs.